Android's notification system has always been a strong selling point for the platform, and Google has added a multitude of great notification features in recent years. However, not all developers take advantage of them. Nevolution (from the developer of Greenify) seeks to make app notifications on Android more configurable and powerful independent of the original developers. There's even a plug-in framework so users can add more features over time. Nevolution has been in development for a few months, so some of you might have already played with it. Nevolution uses notification access to read your notifications and collects them in a list for easy tweaking. When you tap on a notification in Nevolution, there are features that can be turned on and off to modify its behavior. For example, heads-up/peeking can be turned off from Nevolution. It also has features like bundling notifications, multi-line text, and so on. 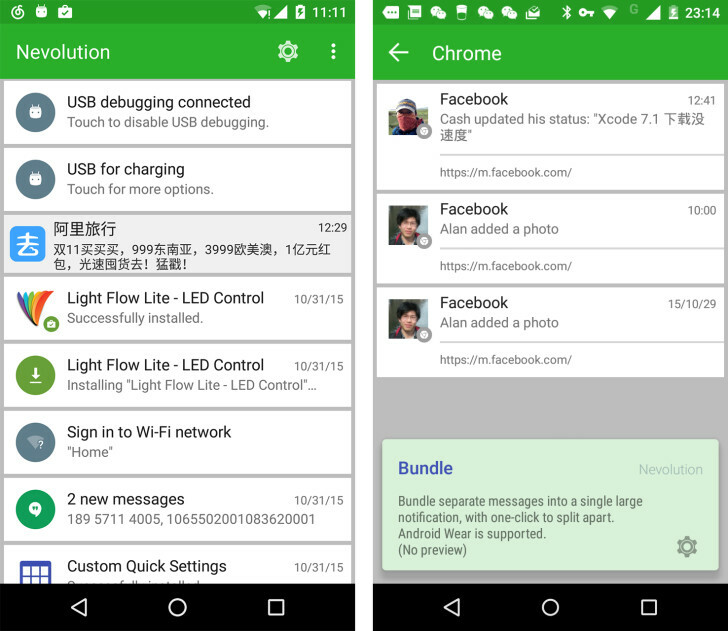 You don't need root to use Nevolution—all the features appear to be native to Android. The app is a bit hard to figure out right now, but it does seem to work. If nothing else, it has a handy button to restore a notification that was previously removed. Nevolution is free, and it's probably something to keep an eye on.